This bloodline is based on Donmar Clarence 4FS. Bred by Don North. 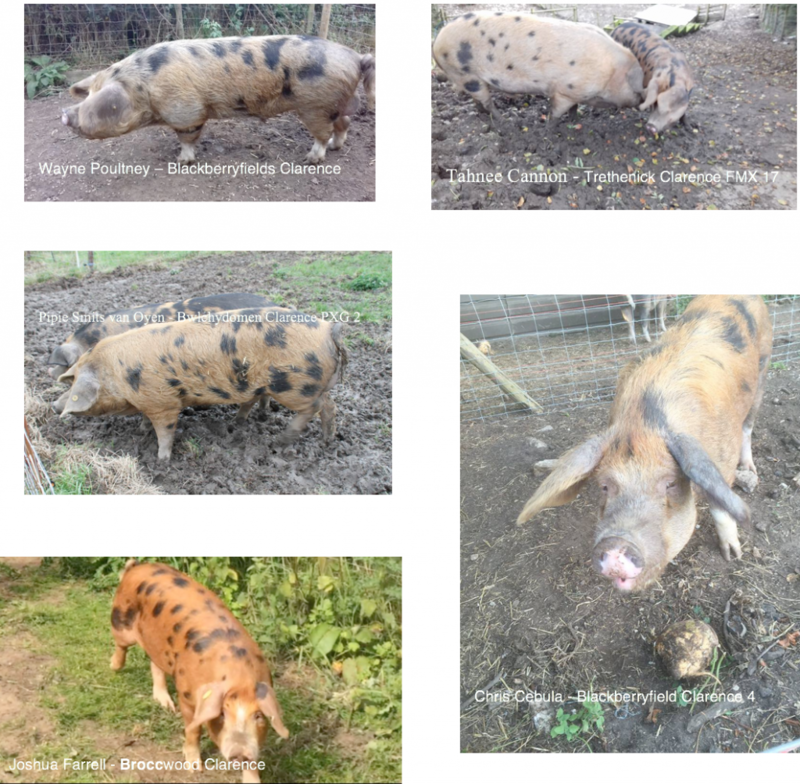 Clarence 4FS was out of one of two sows from Mrs Watts and by a boar known as Aristotle whose origins are not recorded. Again this bloodline line is another simple line in that all the Clarences’ trace back to Clarence 4FS.